I quit college to sell products door-to-door. I know it sounds crazy, it probably was. After a half dozen successful years selling consumer telecommunication products, I ended up losing all I had earned when “dabbling” in real estate and investing in another side business took a turn for the worst in 2007. I soon found myself in a job that had no real chance for upward mobility. As I reflected on the lack of satisfaction and unhappiness I felt then, I realized the lessons I learned up to that point knocking on doors across the United States held a handful of lessons that not only provided for my family—but equipped me with the tools I needed to rebuild a successful career. Selling consumer products to residential households door-to-door taught me several things that readily translated to my start-up, a B2B-focused company with unlimited upward potential. Perhaps the most beneficial lesson I learned was to grow comfortable with being uncomfortable; be it bad weather, an awkward circumstance, general fear, or any other sort of challenge. 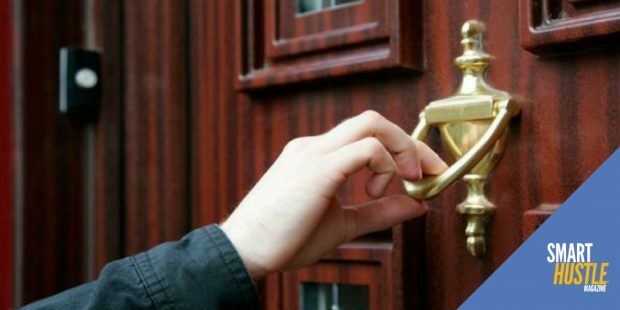 Door-to-door sales was the ultimate testing ground for this skill because I was forced to maintain a positive, steady disposition, even on my worst, most miserable days. Looking forward to the small victories and keeping a humble confidence helped me bounce back from inevitable downturns and today, I find it much easier to find comfort in situations that might have otherwise been unbearable. 3 #lessons you need to know before going down the #entrepreneurial path. I soon also learned that the rejection that comes with knocking doors isn’t personal. Most often, people are rejecting a situation rather than you specifically, or even what you are offering. Just as you would respond, “I’m well—how are you?” to “How’s your day going?,” usually a person will automatically respond, “No thanks” when you call or knock on their door. This knee-jerk reaction just means you must be creative in working around the circumstance. In many cases, you can change the reaction to the situation by changing the status quo of the exchange. At first, walking up to the door of a 450,000 square foot building with a sales pitch was intimidating and overwhelming. When I realized businesses are just made up of people trying their best to do their job—just like me—I learned how to succeed in the B2B door-to-door market just as I had in the residential market. Even the most regulated and complicated professional environments are nothing more than people that have created regulations—so by learning to work successfully with its people, you find success with the business. My drive to provide for my family motivated me to find an alternative avenue, and live with the risk of the unknown rather than continue down the same limited path. Once I came up with the idea for our company, it was remarkable to see I could apply what I learned from knocking on doors. These takeaways truly did help me continue forward with a healthy attitude—while also having realistic expectations for my business. I will always be thankful for that chapter in my life, knowing the skills I developed during those years of selling door-to-door are going to continue to benefit me, my business, and most importantly my family. Starting as a door-to-door salesman, Devin Johnson now leads one of the fastest-growing companies in the United States. Devin is a revolutionary in the E-commerce shipping industry, founding FirstMile in 2012. 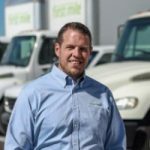 His company provides access for businesses of all sizes to leverage and use products traditionally only available and affordable to very large corporations near major shipping hubs. FirstMile specializes in complete front-end solutions for domestic and international shippers in E-commerce and direct to consumer industries.